Before his untimely death in November 2000, Medjugorje priest Fr. 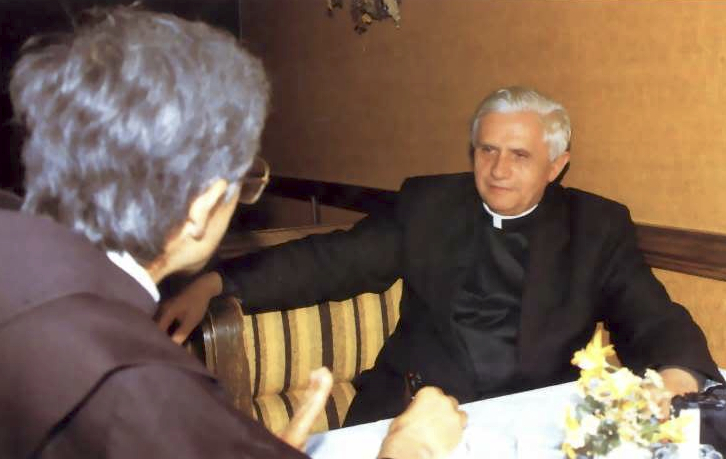 Slavko Barbaric is pictured in discussion with then cardinal Joseph Ratzinger, now Benedict XVI. Fr Slavko Barbaric OFM, a trained psychotherapist, was originally sent to Medjugorje in 1983 to investigate the apparitions. He ended up as a fervent believer who later acted as spiritual director to the visionaries for many years. Until his death on Mount Krizevac in November 2000 he was the mainstay of the Medjugorje pilgrims, as he organised the daily liturgy with talks in many languages, with inspirational rosary and Eucharistic adoration meditations, and also through the many booklets he wrote on themes derived from the apparitions, such as prayer, fasting, Eucharistic adoration, the Stations of the Cross and confession. Fr. 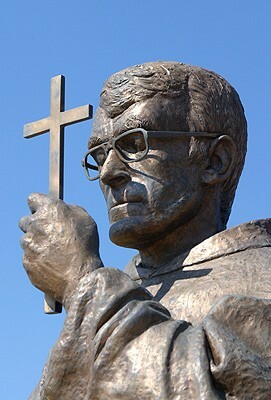 Slavko was also one of the most indefatigable travellers for Medjugorje, making missionaries journeys all over the world, often accompanied by one of the visionaries. In an extraordinary and unprecedented message just a few days after his death, Our Lady told the visionary Marija that Fr. Slavko was with her in Heaven.